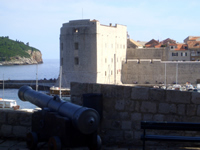 One of the key forts in the Dubrovnik City walls defence complex is most certainly the Fortress of St. John, often called Mulo tower. It is a complex monumental fortress located on the south-eastern side of the old city port, controlling and protecting the entrance of the port. The fort was built as a consequence of many upgrades of the port defence system. The side toward the sea is round and lower part of the wall is inclined, while the part facing the port has flat vertical walls. 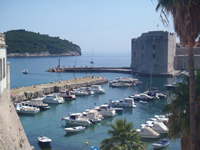 In 1346 Dubrovnik government concluded to build a fort on the outer dock of the port - Dock Fort. The building started that year and lasted for several years. This fort is still visible as a integral part of St. John fortress. The outline of this initial fort is visible on the western wall of St. John fortress. This initial fort was connected with the City with a defensive wall and the gates passing through those walls (Croatian - "Vrata mula" - Dock Gates). On the very corner of the City, near the defensive wall stood the old quadrilateral fort that everyone called "Fort Gundulić". In the beginning of the 15th century a low semicircular bastion was built forward of the Dock Port. The newly built bastion effectively integrated as the outer wall of the Dock Fort. In the year 1500 the upgrade of old Gundulić started. This fort was sometimes called the Fort of St. John according to the nearby church. The old quadrilateral fort was upgraded into a much bigger fort with semicircular form and a pentagonal bastion in front. In 1552, the merger of all bastions commenced in a grand upgrade of the whole fortification complex according to the designs of master architect Paskoje Miličević. Both forts, Gundulic fort and Dock fort, with their respective bastions were merged into a single building which got a new official name: "The fortress of St John at the Dock". The merger was completed in 1557. 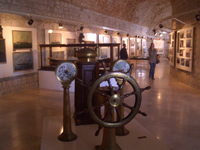 Today the large interior of the St John fortress houses the Maritime Museum and the Aquarium. 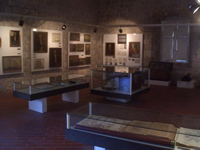 Dubrovnik Maritime Museum contains objects, paintings and documents related to the most important activity in the history of the City - maritime trade and tradition. 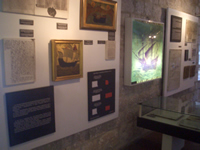 Many atlases, maps, navigational instruments, and other valuable marine items from the long sea tradition of Dubrovnik can be seen at the museum. 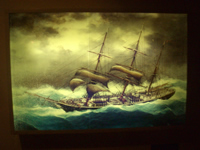 The Maritime Museum with its exhibition tells the story of the rise of Dubrovnik Republic and development of its trade in the Adriatic, the Mediterranean and beyond. 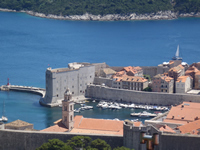 From the intriguing exhibits one can gain insight in the reason why Dubrovnik Republic was so successful in its trade endeavours and how Dubrovnik became a wealthy merchant Republic that in its finest days rivaled Venice and other great European maritime powers. 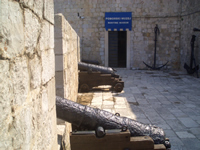 The ground-floor of the St. John fortress houses the Dubrovnik Aquarium. The large Aquarium hall in the fortress is a unique ambient for visitors who can enjoy Adriatic fauna specimens in 27 basins of various sizes. The Aquarium features most of the fish sorts found in the Croatian Adriatic and the helpful staff is willing to share their fishing experiences and stories related to the most beautiful fish specimens. Argosy was a class of merchant ships built in the old Dubrovnik Republic. 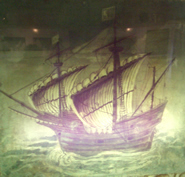 Dubrovnik vessels used to sail all the way to England hence in English literature Argosy became to be a synonym for a large merchant vessel laden with vast riches.